Thank you very much for delivering my order so promptly. I ordered my Mobicool U32 Cool Box yesterday afternoon and it was delivered this morning. Excellent service by you and your carriers. Many thanks. Just to let you know that the Kampa Roastmaster arrived on Monday 2nd June without issue. It is an awesome piece of equipment and works brilliantly. So many thanks for the excellent customer service. Much appreciated. Best Regards. Great customer service. Friendly staff and delivery the next morning as promised. This company is highly recommended. Just to let you know that the cooler and ac power supply arrived safely. Thank you for the good service. Regards. Well! What can I say? Fantastic service super good value. I will recommend you to friends. Thanks again. Our Royal 42 camping fridge received on time and at a very good price. Thoroughly recommend you to all! Thank you! Ref order -:PK100675 Just wanted to send a quick message to say thank you for the excellent service provided by your company. The cool box I brought is excellent and for once when a company says next working day delivery it actually was. Top marks MGD, Thank you. 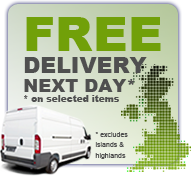 Excellent service - ordered Monday 2.00pm delivered 8:30am Tuesday. I received regular updates by e-mail about the order status. Would definitely use MGD Online again. I recieved a fuse this morning. Changed it ( was so simple as you said me ) and now the cool box works perfectly. Thank you very much for your help. I really appreciate your care about customers. I will recommend your company to all my friends. Thanks again. Good luck with your business. Have a nice day. Just wanted to send a quick message to say thank you for the excellent service provided by your company. The product I brought is excellent and for once when a company says next working day delivery it actually was. Top marks MGD, Thank you. I ordered a portable heater on Tuesday which was delivered on Wednesday. I just wanted to say thank you! Thank you for the gas patio heater that was a brilliant service. I will mention your firm to anyone and everyone I meet who needs a patio heater! Just wanted to thank your team for the excellent service regarding the MaxCold cool box I bought last week. Your cooperation regarding the delivery was superb. Been camping this weekend and the cold beers were much appreciated. Dear MGD, Just a line to let you know that the item mentioned below arrived safe and well in Dorset. Thanks for such a speedy delivery. Many thanks for the 48 litre cooler I receive this morning. I am very pleased with it and will be great for our camping trips. I appreciate your quick delivery. Just A quick note to confirm delivery and thank you for your prompt attention. Having ordered a coolbox yesterday morning and which arrived before 10.00am this morning I can only say what a fantastic service to receive in this day and age. It is a shame a lot more companies do not adopt this attitude to there customers. I will recommend you to friends if they require any of your products or if I need to get another item. Good morning. Cool box delivered this morning. Thanks for the excellent service. Good afternoon. Excellent service cooler box arrived as per messages. I will recommend to friends and family. Just wanted to thank you for your efficient and friendly service. We purchased the Waeco Mobicool U32 electric cool box on 26 May just before going on a car trip through Europe. It arrived as promised the next day and we are very satisfied with it - competitively priced, it keeps foodstuffs and drinks really cool and is large enough but not too large. We also intend to use it on our boat to supplement the fridge. Many thanks we have recommended you to friends who intend to purchase from you. Hi just a quick email to thank you. I ordered a camping fridge from you and I am just blown away by your service, it’s been amazing. From ordering to delivery just first class. Cool box arrived next day as promised. Great service. I would just like to say how delighted I was with your service. The buying procedure was simple and precise and the confirmation clear. I was kept informed of dispatch and expected delivery and it arrived exactly within the hour slot as promised! Just to say thanks for your fast service in supplying my new infrared heater elements at a much better price than local dealers.